We look in and out of the windows. Windows are magical. Windows help us be in two places at once! When we are outside a building, we can see into the inside. When we are inside, we can see to the outside. Windows are openings for air, light and views. They are known as the ‘eyes of the wind’. They let the inside out and invite the outside in. Windows can be on every surface. They can be up above, around you, and even below you! Windows served to regulate the flow of air or ventilation. Windows let light in and protect seeing and being seen. Draw along with this video about windows. Today we peek out of a window without being seen. 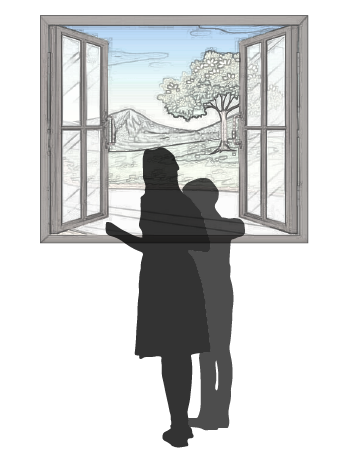 We manipulate window experiences using different types, sizes, and shapes. We arrange windows into patterns and compose both their outward pattern, as well as their indoor relationship with activity. We use windows that open different ways and experiment with different materials that are transparent, translucent and opaque. 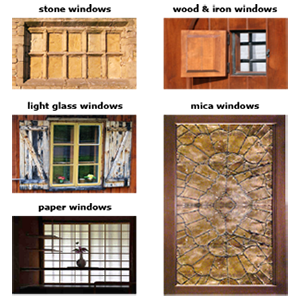 There are many different types of windows. Different types function differently. From fixed windows to clerestories to skylights, windows frame our view of the world! 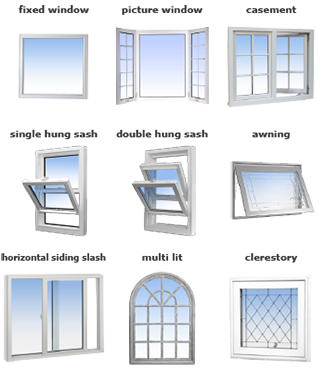 Look up thetypes of windows listed below and make a window catalog. Draw and label each type of window and use a dotted line to show how it operates. People building shelters understood early on that openings in structures are helpful. 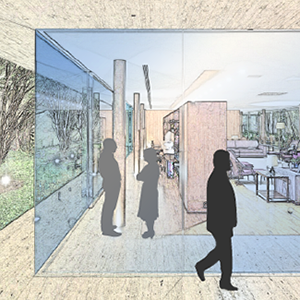 They let in light, offer views, open air flows, and bring life to a building. In the past, openings have been filled with stone, wood & iron grilles or light glass panes and other translucent materials such as mica or as in the Far East, paper. These windows, in whatever material, from the beginning, served as ventilation, view, light sources as well as security and privacy. These materials continue today as people filter light, air and views in their windows. Research and find three historical examples of buildings that didn’t utilize glass for any of their openings! Draw and label the materials in your journal. Windows can singular, doubled up, tripled, quadrupled or even compose an entire plane of building. Buildings, in fact, can be all glass and completely made of windows. Or buildings can be more solid with windows as openings. Windows form patterns on facades of buildings while establishing the view and relationship of the inside to the exterior. 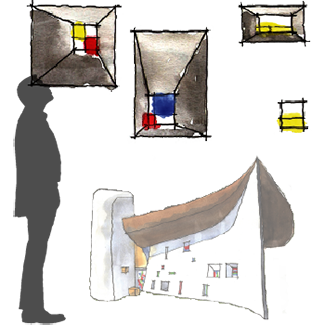 Find one house elevation and draw three different schemes showing different window arrangements. Next, take one apartment building and create different window patterns to change its appearance. Windows come in many shapes, including square, rectangular, circular, triangular and oval. 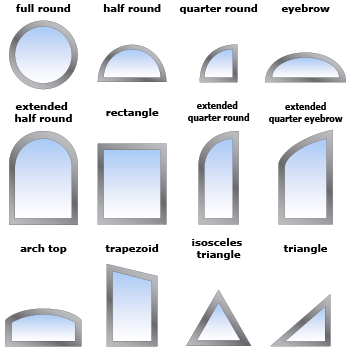 Window shapes can be singular or in combinations. Windows in combination offer some fixed and some operable. Take a walk around your neighborhood. Take pictures of windows that you find. Make a quilt of different window shapes and sizes. Mark the windows if they are operable and how they open. Leave them plane if they are fixed. Be a shape organizer! Sometimes entire walls can be windows. These are called floor to ceiling windows or window walls. These expanses open up the inside of rooms completely to the nature of the garden or the street below or to a city skyline. Window walls in glass houses like the Farnsworth House open the entire space, floor to ceiling to the view outside. Window walls seem to dissolve the boundary between the outside and the inside experience. Window walls are common in tall, glass buildings. Create a tall building facade. Make three different window wall studies. Hint: Some window walls might have low operable windows. Another study might have vertical windows that open. A third could have double hung sashes on either side of a picture window. In 1954, the Swiss architect, Le Corbusier designed Notre Dame Du Haut, a chapel in Ronchamp, France. This abstract building sports an asymmetric façade with many different sizes of rectangular windows. Unique for its time, Notre Dame Du Haut scatters light beautifully throughout the building and demonstrates that there are many ways to arrange windows. What other buildings with abstract or traditional window patterns catch your eye? Compose different shapes and sizes of rectangular windows and make an irregularly patterned window wall like the architect Le Corbusier designed for Ronchamp. Windows organize a building’s façade relating the inside to the outside. Frank Lloyd Wright created ribbon windows using three or more windows in a row. Sometimes entire rooms would have a continuous ribbon of windows opening the inside to the outside view. Ribbon windows frame individual views when looking out perpendicular, but suggest continuous movement when walking around or along space. Draw a facade utilizing ribbon windows. Today’s windows consist of panes of glass, or lites, held in place by wood, steel or aluminum frames. Most windows have a head frame, sash, or side, frames, and a sill or bottom frame. Some frames are fixed, or inoperable; others open from the side, the top or the bottom. Some use transparent, translucent, mirrored or glass block. Architects and contractors draw and use window sections to show how the frame of the window connects to the wall and or floor and structure of the window. The top of the window is called the head. The sides of the window are its jambs, and the bottom of the window is called the sill. Take a look at a window parts diagram. Draw and label the key elements of a window. Windows can be single pane, double, or even triple glazed. Depending on the glass used, windows can be reflective, transparent, translucent, heat reducing and even self-cleaning! Thermal resistance, given by an R-value, describes how well an object can prevent heat from passing through itself. High R-values are very resistant while low ones are not. Old, single pane windows typically have low R-values around 1, but several technologies greatly improve the performance of modern windows. A double pane window with a ½” space improves the R-value to about 1.6. Adding a special low emissivity (Low-E) chemical coating to a double pane window improves the R-value to about 2.Adding gas (argon) to the air space and sealing it between a second plane of glass improves the R-value to 3. 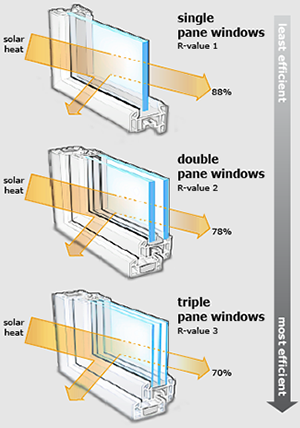 Triple glazed windows with low emissivity coatings on surfaces #2 and #4 filled with argon gas increase to R-5. 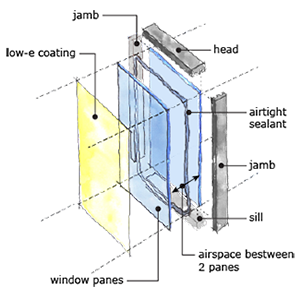 Certain multi-chambered window units with plastic coatings can raise glass openings as high as R-12.5 or close to the thermal resistance of a wall! Draw three window sections showing single, double and triple glazing! By comparison, a typical wall has an R-value of 12. Not bad for glass! What if you could make a window clear, translucent, opaque, or tinted at the touch of a button? Smart windows are here and improving every day! Electronically controlled tinted glass uses a special coating that responds to electrical current and slowly turns dark, or opaque, at the push of a button! Liquid crystal smart windows use a unique microscopic chemical structure to change shape instantly with electrical current to let in varying amounts of light. Some windows even respond automatically to sunlight using photosensitive materials and become darker without any electronic parts! Read about the different categories of Dynamic Windows. They are photochromic, thermochromic, electrochromic, gas chromic, liquid crystal, and suspended particle. Choose the category you feel has the most potential, and write a sales pitch for a potential client! Why should your client choose a dynamic window for his or her building? How does it work? What are the potential benefits? Use both writing and graphics to make your point. Try and sell the future! In terms of building comfort, which of the following is not expected of a window? What kind of opening might a Japanese Shoji screen cover? What type of window opens upwards on a hinge? Why is it important to use thermally efficient windows? They scare away mice and birds! How could dynamic windows change the way we design buildings? Windows should always be uniform and symmetrical on a building façade. It would be unacceptable to design a building like Notre Dame Du Haut today. Windows help create the character and image of a building.